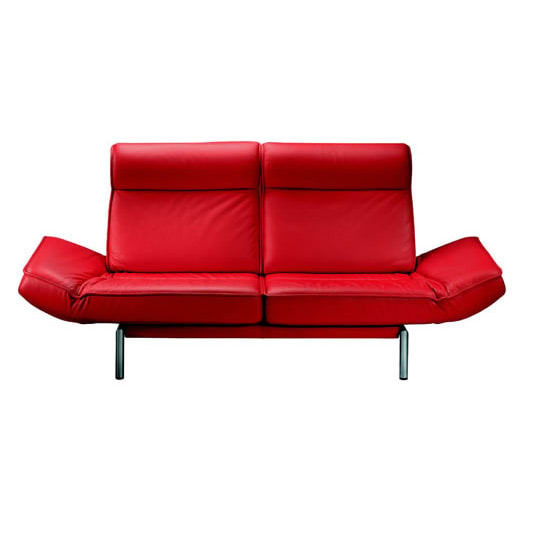 Elegant functional sofa with swivel seats. Two simple flicks of the wrist transform the DS-450 easily from sofa to double armchair or love-seat for relaxing together. Invitingly casual upholstery ending at the sides in fold-up armrests is decorated on the upper surface with hand-sewn leather edging that looks like genuine piping. This gives the model a precision of contour that contrasts so tellingly with the irresistible softness of the upholstery. This feature is continued in the design of the individual, adjustable back sections giving these, with their subtly sculpted headrests, the appearance of exquisite buoyant matting. Do you have a question about "DS-450"? How can we contact you?